The caves Bailly Lapierre groups 430 winegrowers who provide the grapes for making Crémant de Bourgogne. Average annual production is 25,000 hectolitres (1hl=100 litres)or nearly 3.5 million bottles (some 290,000 cases). A permanent stock of 5 million bottles ensures that the quality of our Crémants de Bourgogne remains constant. Our turnover, more than 15 million euros, continues to increase. We sell one out of every three bottles on our export markets, notably in Germany, the USA and Great Britain. our greatest pride is in making sparkling wines from the inimitable PINOT NOIR GRAPE. Our history is the story of how here in the Auxerrois, a region in the northern part of winegrowing Burgundy, men and women over generations have shaped the land on which our vineyards grow. It is this terroir –hard yet rewarding, famed for its quality from time immemorial– that binds us together. Plowing, clearing the furrow along the row, planting, pruning all winter long... Seventy winegrowing families devote themselves to the vines year-round to ensure that the grapes, ripening in the best possible conditions, attain their finest expression. In spring and summer, they trim the canopy and debud the old wood (the vines’ reserves thus spared from useless growth). As summer turns to autumn, they harvest the grapes by hand and bring them in to the caves Bailly Lapierre, their mutually-owned company. Inheritors of a very long winegrowing tradition, these men and women first combined their efforts in 1972. At this time, together with others, they set up a project to create an appellation d’origine contrôlée –A.O.C.– “Crémant de Bourgogne”. In 1975, a statute officially recognised their wine: it became France’s first Crémant appellation (along with that of the Loire Valley winegrowers). Since then they have not ceased to refine their skills, both in vineyard and winery, their wines achieving even greater purity, balance and incisive finesse... the truly noble expression of this outstandingly original terroir. During the Jurassic period 195 million years ago, the slow breaking-up of the Pangaean land mass gave rise to the Tethys Sea. Present-day France was completely under water. A few islands emerged, tropical in type, and the landscape would have been like the Caribbean as we know it: an island (now the Morvan), a coral barrier reef (Mailly-le-Château and Arcy-sur-Cure) and a shallow lagoon (Saint-Bris) forming a habitat for shellfish and ichthyosaurs. Slow sedimentation resulted in the build-up of great limestone deposits that erosion later cut away, forming the Yonne valley and the limestone outcrops, more or less deep, that run from Courson-les-Carrières to Châtillon-sur-Seine. Thus the site at Bailly was born. Bailly was early recognised for its stone which was first extracted in open quarries, as is clearly evidenced by the rock faces now hidden by vegetation. But the success of quarrying at Bailly was truly sealed when, in the Middle Ages, in 1186, Pontigny Abbey acquired the site: Bailly would supply the stone for some of the greatest works in France’s architectural heritage -the Pantheon, Notre-Dame de Paris, Chartres Cathedral... The changeover to underground extraction probably occurred towards the end of the medieval period or the beginning of Rennaissance, until quarrying finally ceased altogether at the beginning of the 20th century. At this point, the extraordinary natural conditions so suited to special conservation infused in the quarries a new life: mushroom cultivation first (1927-70), then wine cellars from 1972 onwards. Thus, something akin to a second youth has come to Bailly’s renowned stone, basis of the subsoil and of the outstanding terroir, and exploited by man through long centuries. In taking hold in Burgundy, the vine has moved northwards beyond the limit of its “natural” growing conditions. It has prospered here thanks only to the diligent care and effort of the winegrowers allied to the particularly favourable geology. The success of the great Burgundian vineyards is the outcome of a longstanding mutual interplay dating back to at least the late (Gallo-) Roman Empire, between man, the grape varieties he has painstakingly selected and nurtured, and the terroir to which they have adapted. In the landscape atlas of the Yonne département, the area of hillside vineyards around Auxerre is defined as “agricultural gardenland”, forming landscapes of great quality. In this area, the places where the vine flourishes are limited to only certain locations. Though the slopes around Chablis are almost exclusively devoted to vineyards, south of Auxerre the vine is scattered here and there, growing only on hillsides overlooking both banks of the River Yonne. This sporadic appearance of vineyards in the landscape enhances their remarkable impact and value. Around our villages the vine goes hand in hand with other farmland (meadow, crop field, woodland and fallow), and the cherry orchards especially stand out as their silhouettes, shaped by pruning, combine with the often bare ground to form an outstanding and unusual display. The cellars are 50 metres underground, quarried deep in the heart of the famed Tonnerre stone, an enchanted, magical setting in which to watch over Bailly Lapierre Crémants as they age. • soft diffused light that helps preserve the flavour and colour of fine wines. Our Crémants combine the elegance of the grape varieties that have made Burgundy famous with the delicate finesse of the perfect sparkle. Our wines benefit from an appellation d’origine contrôlée –A.O.C.– which attests to their outstanding level of quality, quality confirmed by the large number of awards won and ever-growing recognition worldwide. • two-stage certification by the INAO (Institut National de l’Origine et de la Qualité): first the base wines, then the finished wines off the racks. The quality of our Crémants depends above all on the patient, year-long efforts of our winegrowers in the vineyards. So harvest time comes as a key moment in the yearly cycle. The bunches, picked by hand, will already have undergone a selection (sorting) in the vineyards prior to their being carefully transported to the winery in small, open-sided crates marked with the individual winegrower’s name. Thus, superb grapes, whole bunches intact, line up for the press. On reception, each crate is weighed and the quality of the berries assessed. From this information, each crate is emptied into the designated hopper and the grapes, still intact on the bunches, channelled to the corresponding press. Our presses were entirely replaced in 2007 so that now the Bailly Lapierre winery is equipped throughout with airbag presses that ensure the gentlest pressing. Below the flight of presses, the different juices are kept apart: the cuvée (which is the juice from the initial pressing, some 2/3 of press volume) is run into separate tanks from the subsequent pressing, or taille. We have four presses with different capacities: a 6-tonne press, an 8-tonne press and two of 12 tonnes each. Thanks to these installations that fit our needs perfectly, we can press an average 250 tonnes a day, with each press devoted to a single grape variety. Thus the harvest is handled without delay and the aromatic potential wholly preserved. Furthermore, this equipment enables us to keep available the wealth of expressions, both of terroirs and grape varieties, right up to the time of blending. Our vat house contains tanks perfectly adapted to keeping the juices apart as desired. Our Crémants are made according to the traditional method. It is a long process and each step demands rigour and precision. The first stage is the vinification of a still (i.e. non-sparkling) wine that will become the base wine. After the yeast fermentation (transformation of sugar into alcohol and carbon dioxide), the base wines undergo a malolactic fermentation (conversion of malic acid into softer lactic acid) which refines the aromas and stabilises the wines so that the prise de mousse –acquiring the carbonated bubbles- can take place in ideal conditions. Blending (carried out in winter) is a crucial stage during which the various terroirs and grape varieties are matched together in ultimate harmony. In our cellars, this delicate operation is done by a commission led by our enologist. Remuage is the last stage. Nowadays, it is done using special bins placed on a rotating base, ensuring that the requisite slight turning movement is kept regular and automatic. By this means, the yeast deposit that forms in the neck of the bottles placed upside down in the racks is gradually moved « towards the exit ». The deposit is removed by a technique known in French as dégorgement: just the neck of the bottle is frozen and a lump of ice forms there, enclosing the sediment. When the capsule is undone, the ice cube is expelled. The volume of wine lost in the cube must, of course, be made good and so, along with a variable dose of grape sugar known as the liqueur d’expédition (or liqueur de dosage), the bottle is topped up with the same wine reserved for the purpose. It is the dose of grape sugar that determines the type of sparkling wine: extra-brut, brut, extra-dry or demi-sec. The dose of sugar for each vat of wine is determined previously by tasting. Once the dose has been added, the bottle is fitted with its final cork (to replace the stopper that was used during the prise de mousse and maturing stages). A wire muzzle like a minute cage is placed over the cork and tightened under the lip of the rim to ensure the cork stays in place. After the addition of the liqueur d’expédition (or de dosage), with its varying degree of sweetness, the bottle is laid down in the cellars for a few months longer to refine the wine yet more. 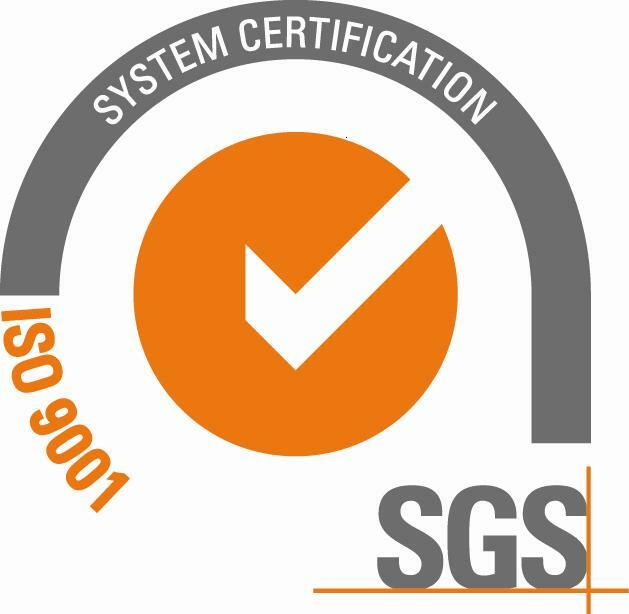 Notre performance et nos engagements sont reconnus au travers des certifications ISO 9001, IFS et ECOCERT. ISO 9001, pour la mise en place d’un système de management de la qualité (démarche d’amélioration continue) depuis 2004. En savoir plus sur le site ISO. IFS Food, pour la qualité, l’hygiène et la sécurité des denrées alimentaires depuis 2011. En savoir plus sur le site de l'International Featured Standards. ECOCERT, pour la reconnaissance de notre vin biologique, la cuvée Égarade depuis 2006. En savoir plus sur Ecocert. En 2012 nous avons choisi de rejoindre l'association Vignerons en Développement Durable. En savoir plus sur les Vignerons en Développement Durable.